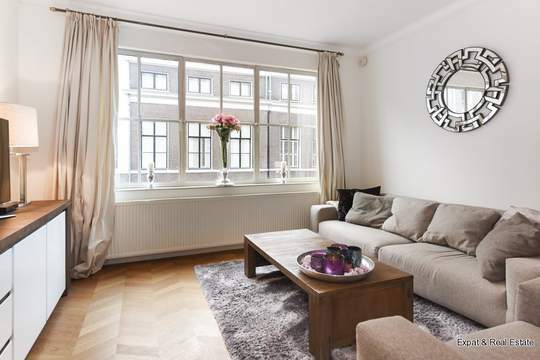 In the MIDDLE of THE POPULAR ARCHIPEL area you find this well maintained, bright 3-room apartment of approximately 110 m2. 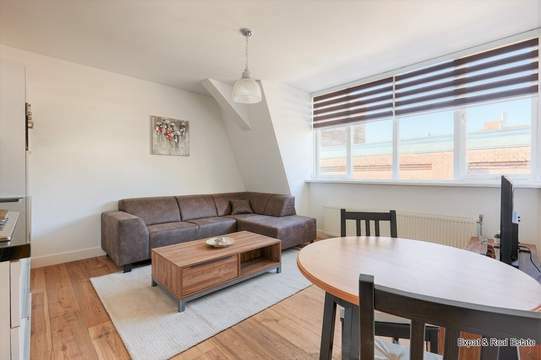 The apartment has a spacious living room, comfortable kitchen/diner with all appliances and skyline view, spacious bedroom, bathroom and a sunny terrace with nice view. The apartment is TURN-KEY, ready to move in! located in the very popular neighbourhood Archipel. An area in the centre that absolutely has everything to offer and all shops for the everyday needs are literally around the corner. Also there are many nice restaurants and terraces nearby. Main roads and public transport conveniently located. Main entrance with doorbells and mailbox. Separate entrance with stairs to the 4th floor. 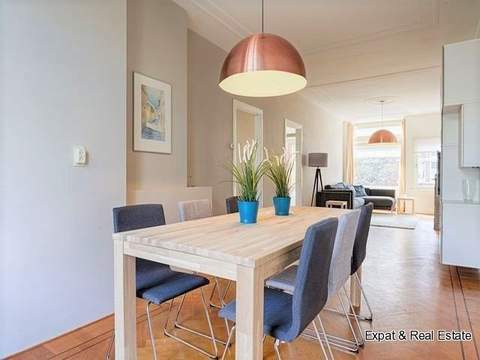 Spacious hall, spacious toilet with washbasin, very bright living room, comfortable kitchen/diner with a skyline view of downtown The Hague. The kitchen is equipped with refrigerator, freezer, oven, hob, extractor and dishwasher. Spacious bedroom with a large closet. Neat bathroom with washbasin, shower and washing machine/dryer. From the hall access to the delightful terrace with magnificent view.